The launch event was attended by Joseph Yeoh, Vice President of YTL Land & Development and YTL Hotels & Properties, Mr. Wan Azmawi bin Dato’ Wan Azmi, Chief Executive Officer of Raffles College of Higher Education and Mr. Woon Foo Wen, Chief Executive Officer of Green Tech Malaysia Alliances Sdn Bhd representing Kloth Cares by Kloth Lifestyle. Once again Lot 10 joined billions of people across 178 countries to continue its support for Earth Hour by switching off non-essential lights including its facade’s decorative lights on Saturday, 25 March 2017, from 8:30pm to 9:30pm. The tenants also participated by turning off their lights in their respective stores. This global “lights off” event created by the World Wildlife Fund (WWF) was launched in Sydney, Australia in 2007. 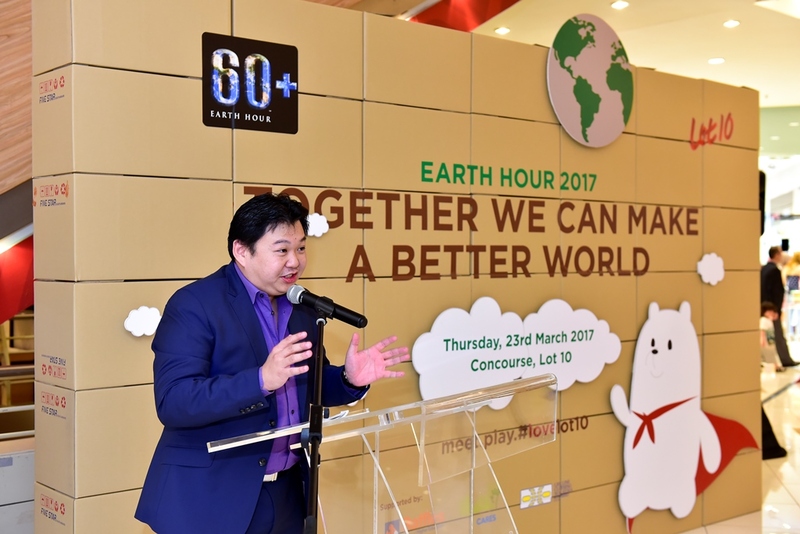 Earth Hour has become a global event celebrated annually to call on each person, committee, business and government to inspire people to protect the Earth and promote environmental conservation. 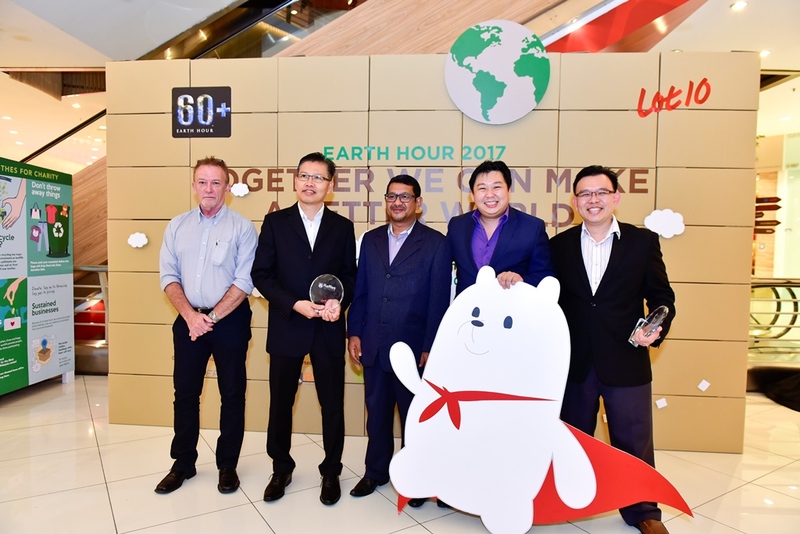 Earlier this week on 23rd March 2017, Lot 10 launched its sustainability campaign “Together We Can Make A Better World” in support of Earth Hour 2017 and in collaboration with two partners namely Raffles College of Higher Education and Kloth Cares by Kloth Lifestyle. - To reduce usage of plastic bags, Lot 10 offers shoppers the Super Lottie Tote Bag which can be redeemed at the Cheerleader’s Counter, Level G when they spend RM200 in not more than two combined receipts on the same day. T&C. - The mall has set up Recycle Bins on the Level G, Level 2 and Level 5 where public can drop off their pre-owned clothes, handbags, belts, linen and soft toys. 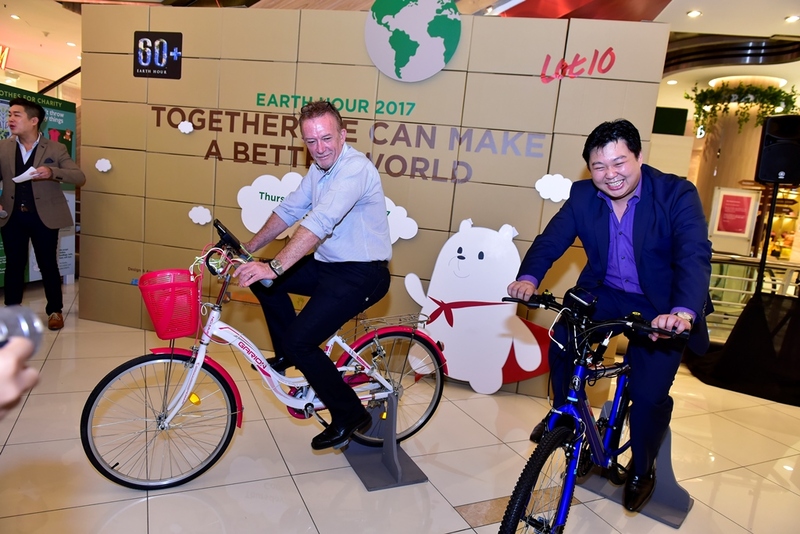 - The mall also promotes sustainable energy solution by introducing bicycle-powered charger where we can generate electricity through pedal power. The modified bicycles had been installed within the mall where shoppers can ride to charge their phones and mobile devices instantly.